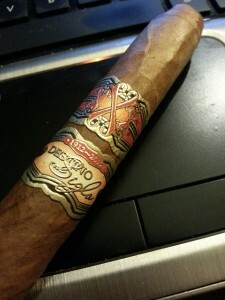 This week on Half Ashed, we’re smoking a very special Fuente cigar, given out at CFC2014. Tune in to get the full details about it, but here’s a spoiler: we loved it. We had quite a bit of news to cover, including items from FDA, General Cigars’ Dunhill, 1502 Cigars, Herrera Esteli, Drew Estate, Luis Sanchez, and a bit more trouble for former Swisher executive Alex Goldman. We also discussed what else we’ve been smoking this week and several listener emails. Keep ’em coming! In an unfortunate turn, our latest attempt at revamping our chatroom experienced a setback at showtime, and we had to punt with the chatroom. We will be back online with the chat this Friday night. We’ve contracted with a provider to offload the server load to cloudservers, so we shouldn’t have any further difficulties. Just follow the instructions on the front page of halfashed.com. Thanks for checking in, and we look forward to you joining us Friday night! 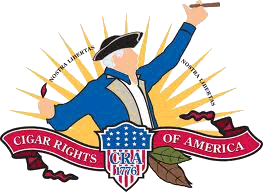 Next week, our Cigar of the Week will be a very special cigar from Craig’s provided featured cigars, so be sure to check back in next Friday night at 9:30pm EST at Cigar Federation ****We will temporarily only have chat access on our Show Page on halfashed.com. We have outgrown our previous chat, and it has been overloading the server and causing various and sundry issues with our hosting provider. In fact, they shut down our site this week during the show. I have installed a stopgap chat for the time being, but it will not frame into the Cigar Federation page. We will remedy this as soon as possible. ****, where you can catch us recording and participate in the chatroom. If you would like to contact us in the meantime, you can reach us through the contact page or at the following emails: [email protected] or [email protected] Please feel free to drop us a line if you have any questions you’d like answered, comments to make…or even compliments and complaints. We love to get your emails! Also, remember you can always go back and listen to previous episodes, which can be found in the Half Ashed Archive. You can download this week’s audio directly below (right-click “Download” and save), or find us on iTunes to subscribe. Video, as always, will be available at the CigFed Half Ashed Video Archive. Miami, FL, May 2, 2014: Drew Estate and Tsuge Pipe Company Ltd. have announced a new strategic alliance between the two companies with news that Drew Estate will become the company’s exclusive distributor in the United States and Canada. Sales will begin at the 2014 IPCPR show in Las Vegas, Nevada in July 2014. Drew Estate entered the pipe market by releasing a line of custom pipe tobacco blends at the 2013 IPCPR tradeshow, and this new announcement stands to cement their involvement in the premium pipe and pipe tobacco market. 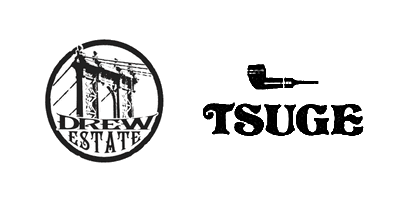 Started in 1936, Tsuge Pipe Company and the Tsuge family have a rich history of craftsmanship. Prior to making pipes, the family were Samurai swordsmiths for hundreds of years. Kyoichiro Tsuge started making pipes around the turn of the century, and the company has mastered the art of pipe making. Tsuge draws from the traditions of Italian and Danish pipe makers, having trained with world-renowned pipe maker Sixten Ivarrson, and has added unique touches of Japanese artisanship along the way. The pipemakers are best known for their renowned “Ikebana” line of handcrafted briar pipes. The “Ikebana” collection features the family’s highest quality work, retailing for up to multiple thousands of dollars. They are also known for their machine-made line of briar pipes, which features unique shapes and metals. This portion of Tsuge’s pipe collection is a more affordable option compared to the “Ikebana” line. Drew Estate representatives will be stationed at the Tsuge booth at the upcoming Chicago Pipe Show, being held at the Pheasant Run Resort in St. Charles, Illinois on May 3rd and 4th, 2014. If you would like to speak with Drew Estate representative about this news, please visit the booth. Founded in New York City in 1996. Drew Estate has become one of the fastest growing tobacco companies in the world. Under their mantra “The Rebirth of Cigars”™, Drew Estate has led The “Boutique Craft” movement by innovating new elements to the tobacco industry with their unique tobaccos and blending styles that have attracted new and old cigar enthusiasts. In their Gran Fabrica Drew Estate, the Nicaraguan headquarters, Drew Estate produces successful brands such as ACID, Herrera Estelí, Java by Drew Estate, Kentucky Fired Cured, Liga Privada, MUWAT, Natural, Nica Rustica, Tabak Especial and UnderCrown. Happy International Pipe Smoking Day, everyone! It’s been quite an absence from me, and I apologize. I had a string of holiday (almost/planned) travel, two bouts of serious sickness, and a trip to the Dominican that have really interfered with my writing. I’ve been dedicating what smoking time I’ve had toward Half Ashed during the past month, but hopefully I will be able to also get back into the swing of things here on The Cigarmy now. I have a couple of new reviews that will post up over this weekend, and a serious facelift to the site coming in the coming weeks. I hope you haven’t all gone away at this point, and will stick around. 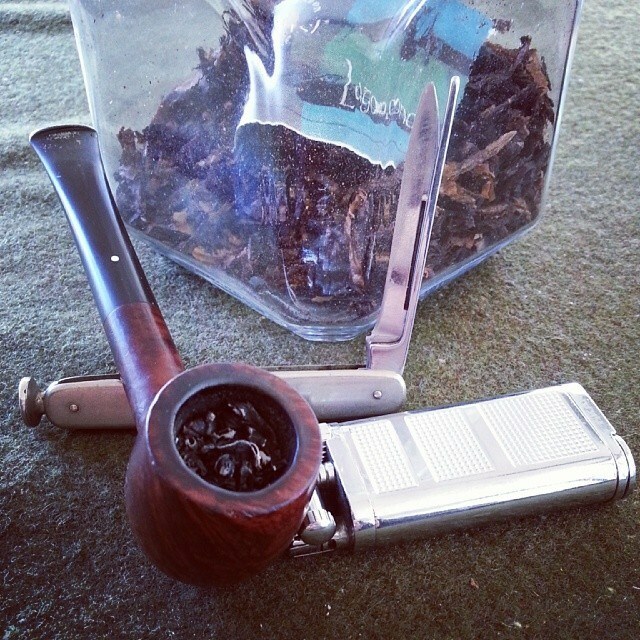 My first bowl of this #IPSD is Lagonda, an interesting blend from Greg Pease. Probably not my favorite of his blends, but not a bad offering at all. It’s hitting the spot this morning as I type this. 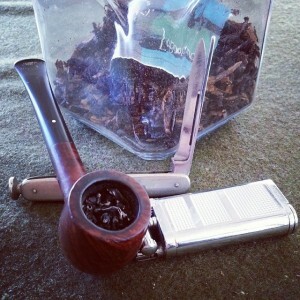 My first pipe of the day is a 1954 Dunhill small billiard. This pipe came to me as one of those amazing surprises. I bought a lot of about a dozen pipes from eBay, of which this was one. In fact, I had no idea it was a Dunnie until after I got the package. I bought the lot with my eye on another pipe altogether. I cleaned up the other pipe, and had a new stem made for this one (complete with Dunhill spot)….et voila! I had myself a 1954 Dunill for $5 plus the cost of stem. That’s a bargain that’s hard to beat. It smokes well, and has grown accustomed to calm, latakia-laden blends. I dig it. Anyway, thanks for stopping by again, and I hope to get a bit more in the groove during the coming days and weeks. Be sure you hop over and check out Half Ashed. We’ve had no delay there, and continue to do a 2+ hour show every Friday night – broadcast via Cigar Federation. It’s a blast, and I think most anyone can find a niche in our chat room.